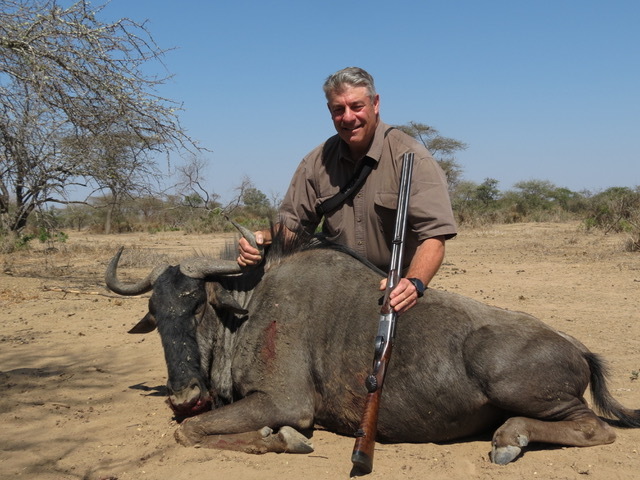 A mate in the fine state I moved to Alaska from (Vermont) sent me pics of his .450 nitro Gibbs and a wonderful cape buffalo and wildebeest to took this summer in Africa. 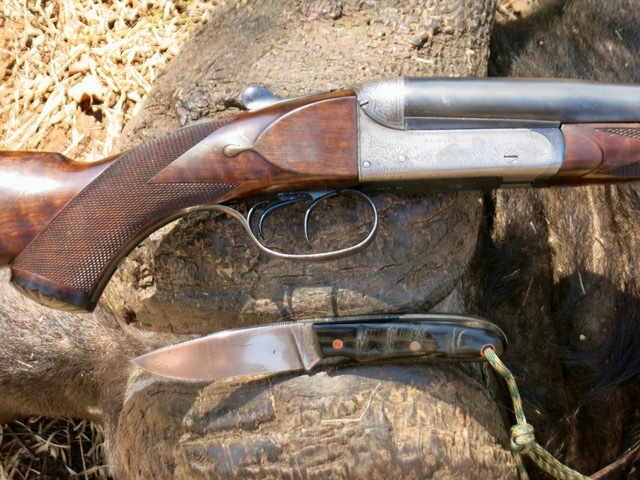 The Gibbs' 28" barrels give excellent accuracy and velocity. 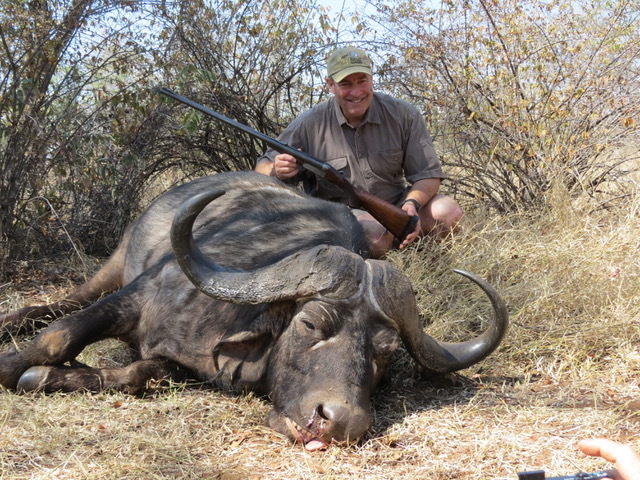 Contratulation to Robert R. for a successful hunt and a great double rifle.